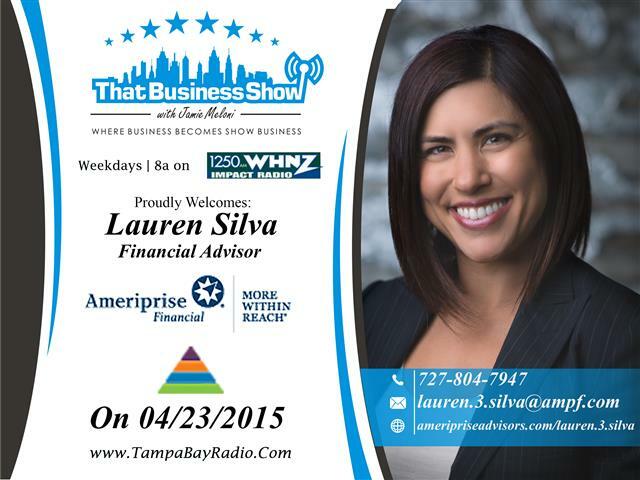 Ryan O’Leary joins me in studio on the first half of the show today to discuss financial planning for business owners. Ryan is a certified financial planner with Sequioa Financial Group and has been in the financial services industry since 2001. Business owners that venture down the entrepreneurial path oftentimes neglect the importance of retirement planning and many overlook it altogether only to suffer later in life with a lack of savings. Ryan and I discuss this and touch on the different retirement options available for business owners and their employees from 401k plans to Roth IRAs and the differences within them. With many options out there for investment, the importance of choosing a plan that is both effective and not cost intensive is key to a successful businessman’s retirement and Ryan coaches business owners on the advantages and disadvantages of the different options each and every day. 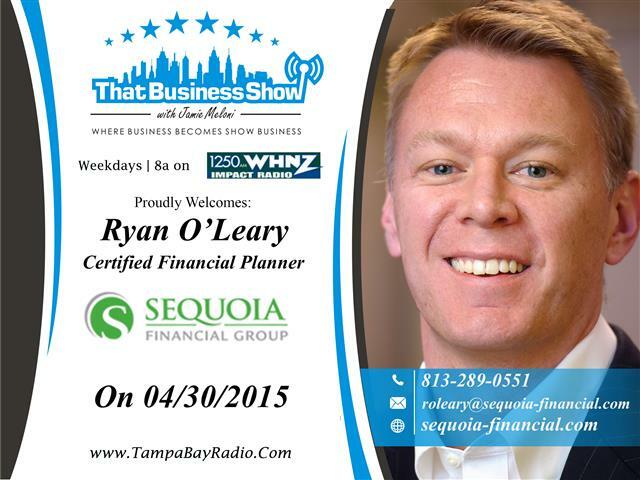 Ryan offers a free consultation to anyone needing assistance in the financial services space and can be reached via phone at 813-289-0551 or email at roleary@sequioa-financial.com and be sure to visit them online at http://www.sequioa-financial.com! Thursdays at 8:30 is the Remodeler’s Corner feature brought to us by Yeager and Company. 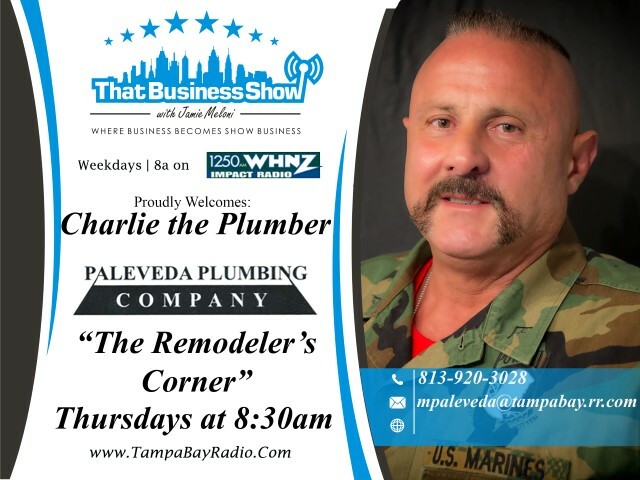 Yeager and Company is a 3rd generation flooring and remodeling company based in Odessa, FL and checks in with me each and every week to offer some construction tips or at times, give us some color commentary with Charlie the Plumber. After some technical difficulties up front, we got down to business on this feature discussing kitchen cabinetry installation and their preferred product line, Wellborn Cabinetry. Wellborn Cabinets is also a family owned business based in Alabama and founded in 1961 and offers consumers an American made product that focuses on quality. Wellborn Cabinets features include 17% more face frame than typical competitors, quality solid wood doors, a unique 24 step finishing process that enables the cabinets to stand up to a range of temperatures and contaminants and a hanging rail system and quality drawers that increase the life of the cabinets and adds to their strength and stability. You can learn more about this product line and the company history at http://www.wellborn.com and be sure to contact Jim Yeager of Yeager and Company today for all your building needs from flooring to remodeling. Visit http://www.yeagerflooring.com for more information or call them today at 727-375-7813 or email at jyeager@yeagerflooring.com! 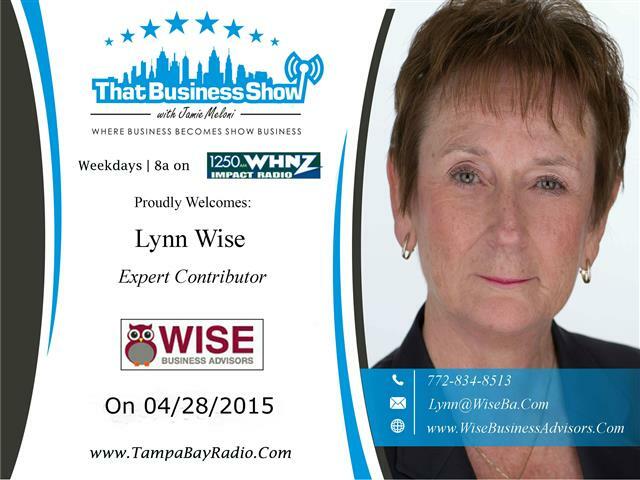 Today on That Business Show, Expert Contributor Lynn Wise Founder of Wise Business Advisors opened the show to discuss her latest business endeavor, on demand business services. Lynn’s business caters to the contractors and she has over 35 years of experience working in this industry and is the author of Build It, Grow It, Sell It, Nine Steps to a Thriving Contracting Business. Her knowledge and expertise transfer overs to this business model where she can help you, the contractor, grow your business by handling the back end while you are in the field doing what you do best, working! Lynn is also launching new workshops that will teach contractors how to focus on recurring revenue and discusses some of the lost opportunities that contractors miss out on during this show. Lynn is available for more information by visiting her website at www.wisebusinessadvisors.com or contact her directly at 772-834-8513 or email at lynn@wiseba.com! 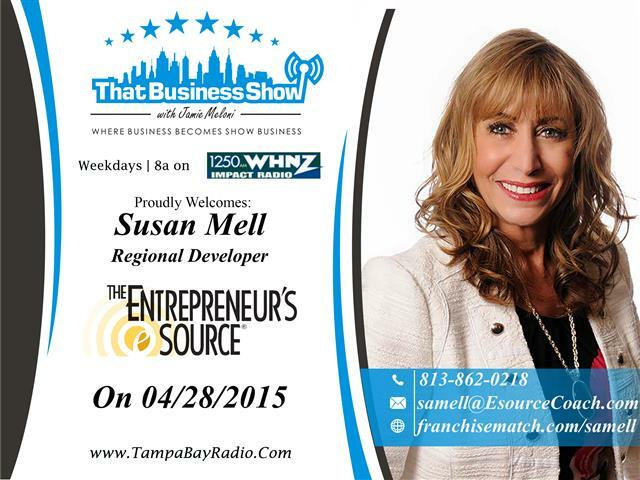 On the 2nd half of the show, I spoke with Susan Mell, Regional Developer with The Entrepreneur’s Source. The Entrepreneurs Source is a resource for people who want to start a business to find coaching and guidance in the field of franchise businesses. This is a free service to potential business owners and through Susan’s help, she assists with coaching you on what business is right for you as well as guides you with help in financing with many special programs available. With the growing demand from people wanted to be self-sufficient in all areas of their lives including their careers, this is another great resource for potential business owners to explore. Susan is available for further discussion via email at samell@esourcecoach.com and phone at 813-862-0218, and be sure to visit her website at http://www.franchisematch.com/samell for more information! 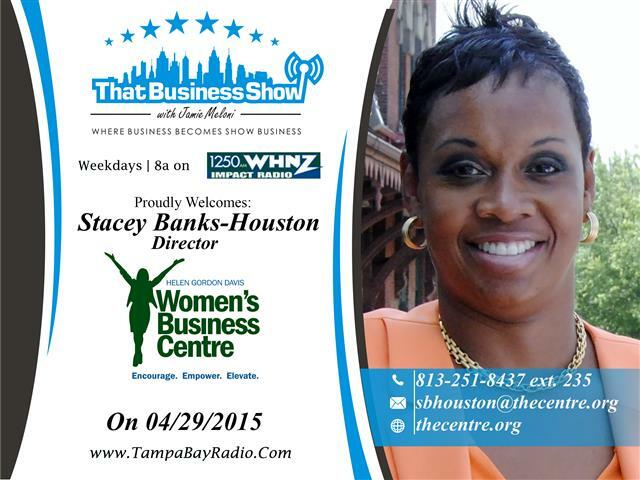 Start the week and day off right each day with That Business Show at 8am on 1250 WHNZ and you can listen or watch live anywhere in the world on http://www.tampabayradio.com. Also available on the iHeart Media app, just download via the app store and search for 1250 WHNZ on your smart phone. 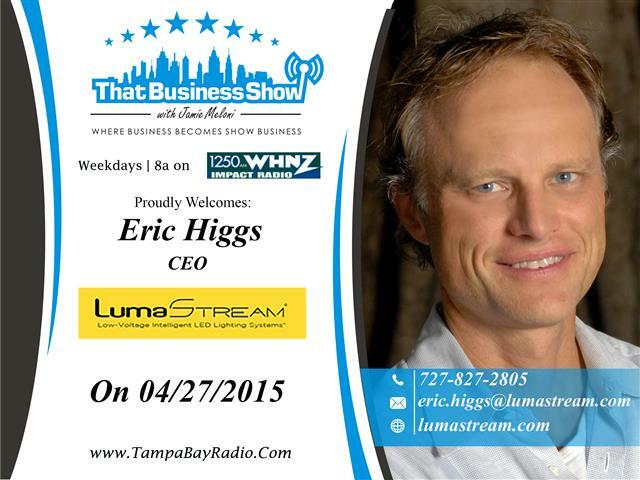 On today’s show, I welcomed Eric Higgs on the first half. Eric is the CEO of LumaStream, a company dedicated to providing low cost, efficient energy solutions through the use of LED lighting. Eric launched this company in 2009 after being tasked with providing a lighting display for a city block in Tampa. The lighting that was to be used was going to pull in over 20,000 watts/day and he knew there had to be a better solution. Through research and ingenuity, Eric was able to do the project with LED lighting with an energy usage of only 830 watts/day. After that project, Eric launched LumaStream and now over 5 years later has grown it into a company with 35 employees and many business clients as well as a relationship with St. Petersburg College. Eric talks on this show about the cost savings and environmental benefits of LED lighting usage with savings of between 40-90 percent over traditional lighting sources. Business owners looking to put a dent in their energy bills and help the environment on top of that need to contact Eric and LumaStream for a consultation. Learn more at http://www.lumastream.com and call Eric at 727-827-2805 or email at eric.higgs@lumastream.com! 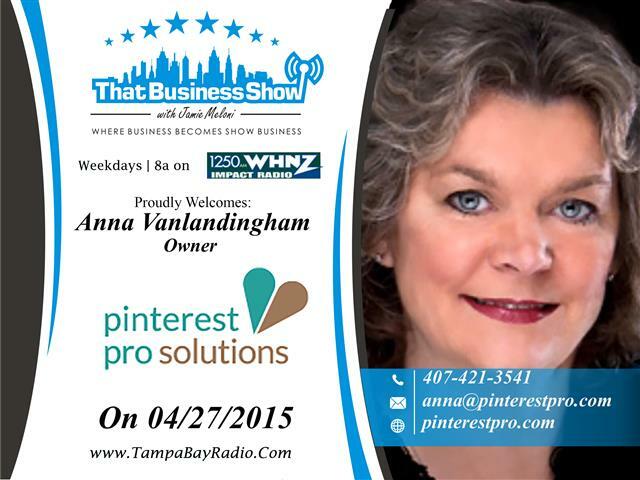 On the 2nd half of the show, Anna Vanlandingham, Owner of Pinterest Pro Solutions, joined me in studio. Anna is on the entrepreneurial path following a successful award-winning career in the field of Economics and has founded Pinterest Pro Solutions 3 years ago. Pinterest is an online social media platform that people “pin” their “interests” on so to speak hence the name pinterest and grew out of the Midwest with mostly homemakers using initially to share recipes and other household tips. Pinterest has since grown to cater to business owners now with the idea that these pins can be ads for your business designed to direct consumers to your website and Anna’s business is to help business owners with the effective use of Pinterest. Ann shares with us effective marketing techniques for business owners and the use of mapping pins and much more on this segment and I learned a great deal myself about this social media platform. Anna is available for a consultation to discuss your business and how she can assist you with this platform via phone at 407-421-3541 or email at anna@pinterestpro.com and be sure to learn more at http://www.pinterestpro.com! Happy Friday and a great show to end the 12th week of That Business, weekdays at 8am on 1250 WHNZ!! 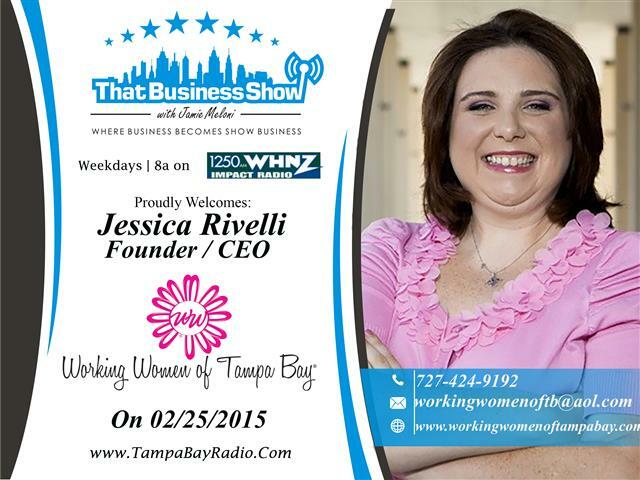 Today on the show, I welcomed Amy Jacobs, Co-Founder and Creative Director of The Fidgit Shoppe. Amy and her mother, Ingrid, make blankets designed to give comfort to patients suffering from Alzheimer’s Disease and was inspired by their personal experience with this disease after Amy’s father was afflicted with Alzheimers. The blankets have different designs on them and different gadgets and components that patients can “fidgit” with and keeps them comforted. Response from patients and caregivers dealing with this disease has been extremely strong and these blankets are available for sale at http://www.thefidgitshoppe.com and you can request personalized designs as well by emailing Amy directly at thefidgitshoppe@gmail.com. Amy works as a trauma/ICU nurse and has a deep background in the medical industry and has worked at hospitals in Stanford, Yale/New Haven and now Tampa General. Amy shares a lot of personal information on her families plight with Alzheimers and we discuss the aspects of Alzheimers disease as well as tips to deal with patients effectively. 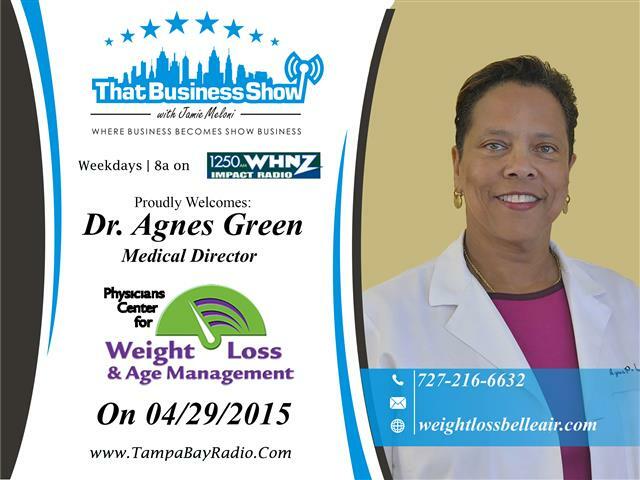 This is a great show with lots of information on Alzheimers Disease and a definite must hear show . Learn more at http://www.thefidgitshoppe.com and contact Amy directly at thefidgitshoppe@gmail.com for more information! 8 years ago today, I was hired at Coldwell Banker South Tampa with one home sale to my credit and not a clue of what I was doing in Real Estate. 1400+ sales later and a radio show on top of that, I know I found my home in Real Estate and have to thank Debra McMillen for hiring me and my mentor Amanda Huggins for teaching me so much early in my career. To those struggling to find their paths in a career, ask yourself, who is your mentor? Who are you striving to impress and learn from each day? If you do not know, then find a mentor, a leader in your industry and learn from them. My success in Real Estate led me to a show on the radio first starting with a weekly radio show on Real Estate to the now daily radio show focusing on business ownership and entrepreneurs and something I look forward to each and every morning. On the 2nd half of the show, I welcomed Charlie Paleveda in studio on behalf of Jim Yeager of Yeager and Company. 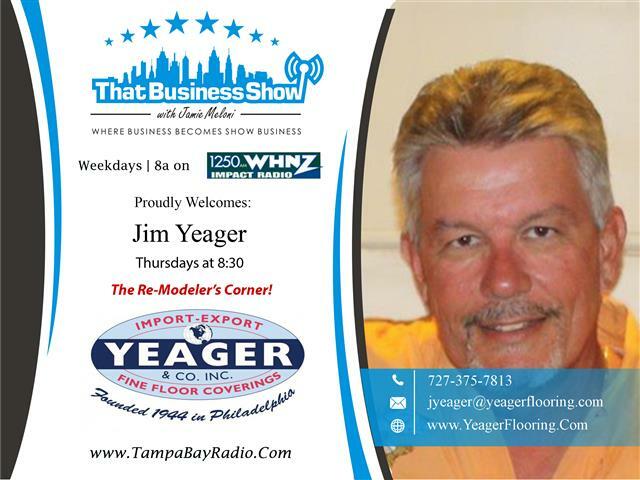 Thursday’s at 8:30 am is the Remodeler’s Corner and a weekly feature highlighting Yeager and Company, a 3rd generation flooring and remodeling company based in Odessa, Florida. Charlie talks about Jim Yeager’s latest initiative, PI to PI. PI-PI stands for Paris Island to Private Industry and Jim Yeager is looking for both employers and Marines to get involved. To get more information on this contact 727-375-0206 and you can reach out to Jim Yeager directly at jyeager@yeagerflooring.com and be sure to visit their website www.yeagerflooring.com for all your flooring and remodeling needs!